Colts 20th Anniversary Season! - Very Barrie Colts | A website covering the Barrie Colts of the OHL. Home 20 2014. 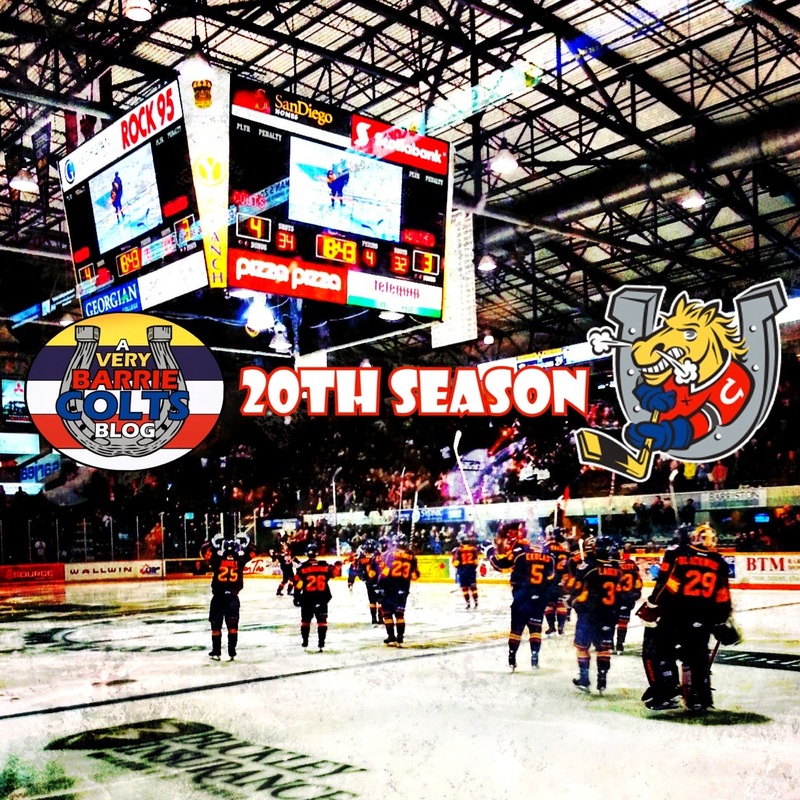 Barrie Colts blog Colts 20th Anniversary Season! Yesterday the announcement was made by Horsepower and Entertainment that this upcoming season the Barrie Colts will be celebrating their 20th season in the OHL. Through the season they have set out plans to celebrate this exciting milestone that will officially Launch TONIGHT at Hockey Night in Barrie! What is planned for tonight? The only thing that has been announced is that former Colts alumni will be wearing a 20th anniversary themed jersey to kick off the event tonight. “I was at the very first Colts game played at the Barrie Molson Centre and haven’t missed too many since. 20 years went by very fast, but I am very happy to be a part of the organization now, as we celebrate our 20th Anniversary,” said Co-Owner Jim Payetta. Merchandise to celebrate is not the only thing to expect. It was also said on the Barrie Colts Official Site that there will be a commemorative logo for this season, giveaways, a special anniversary book as well as the Colts will be wearing a special 3rd jersey throughout this upcoming season! Also, at every Barrie Colts home game this season a former player or coach will be featured in our Top 40 Alumni on the video-board and ticket stubs. Who do you look forward to seeing as a part of this top 40? Share with us in the comments or on Twitter. Don't forget to include our Twitter handle @VeryBarrieColts as well as #ColtsTop40 and will will RT your suggestions! Here is the actual list and schedule for the Alumni and when they will be featured!